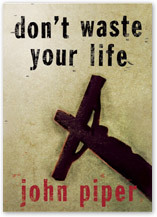 You are here: Home » Discipleship » What Does It Take To Waste Your Life? I am in the process of purchasing the audio book on itunes as I type. I will follow up with you. Ok man. You won’t be sorry you did. Trust me.